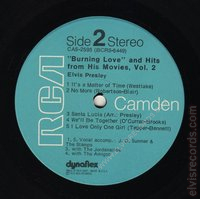 Cover Front: RCA Camden and catalog lower right corner. 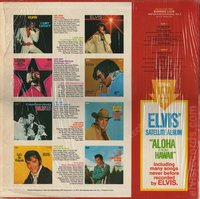 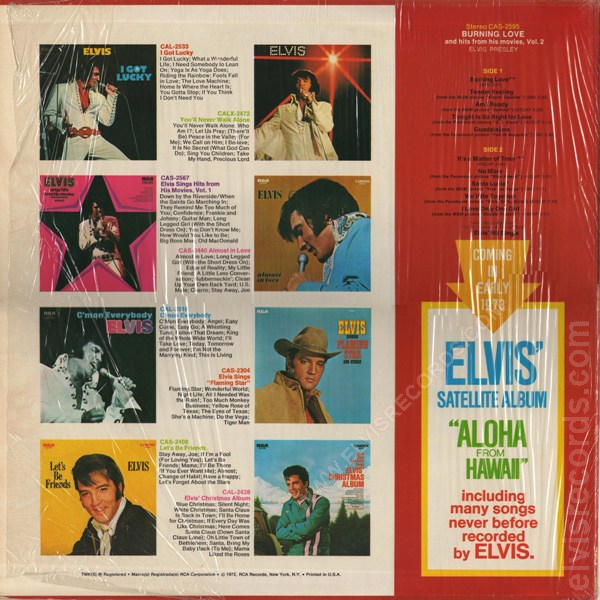 The first cover has a yellow star-burst which reads "Special Bonus Photo Inside" which is replaced with an "RE" on the lower left corner. 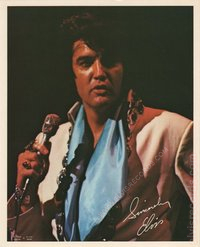 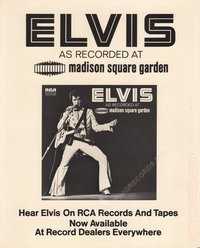 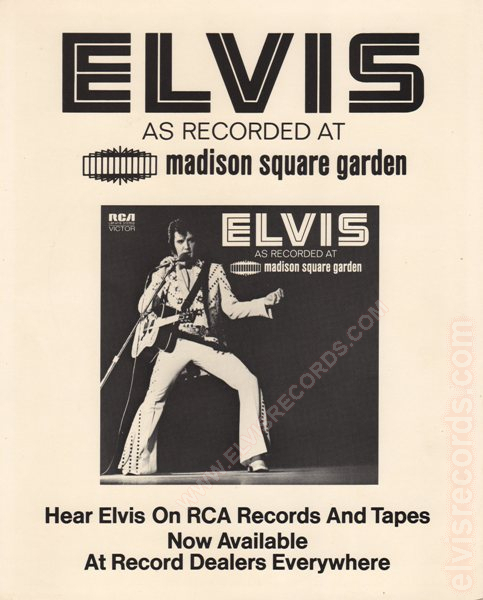 8"x10" Picture of Elvis with an advertisement for Elvis as Recorded at Madison Square Garden on the other side. 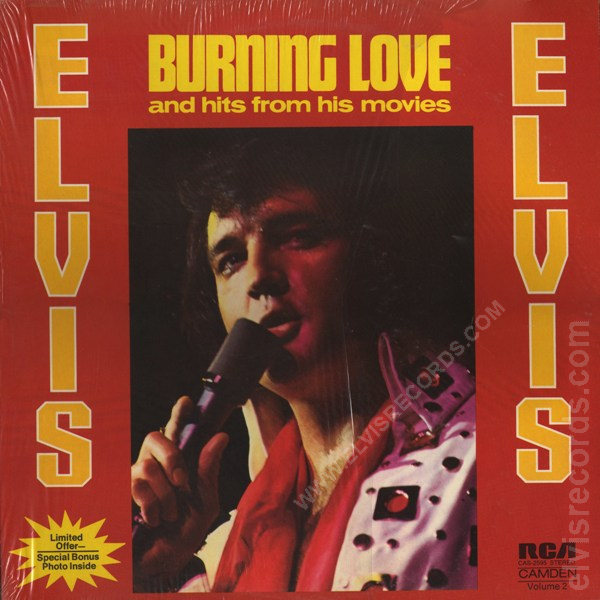 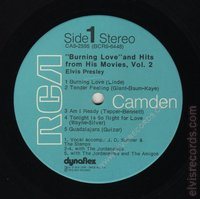 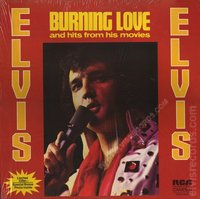 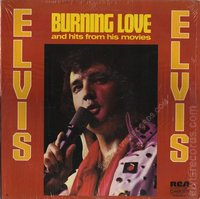 Re-released on Pickwick Records as CAS-2595 Burning Love and Hits From His Movies, Volume 2 in 1975.